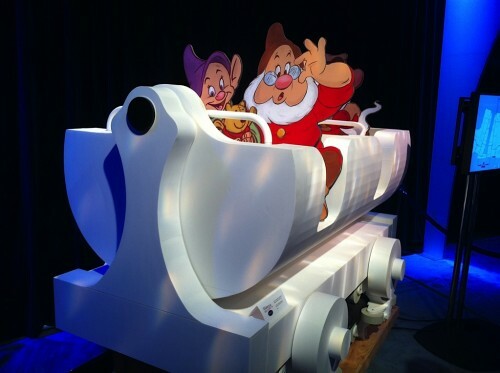 Ed – Please welcome back Alison with her own report from D23 Expo. I was fortunate enough to be able to attend the D23 event on Sunday with my family. There were some big highlights but also a huge disappointment. The Carousel of Projects was a highlight for my family. 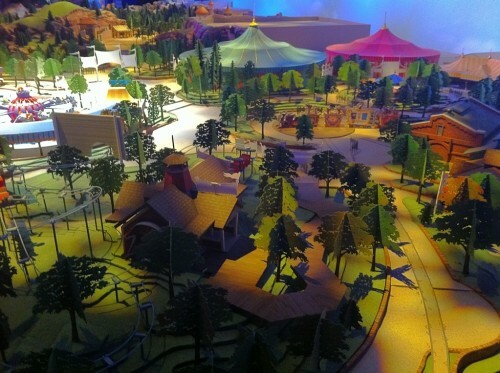 It had a great model which showed the Disney World Fantasyland expansion project. I had been having difficulty visualizing the whole thing but the model really brought it to life. How Long Will You Wait in Line? The crowds were out in full force at Disneyland this weekend. Of course this is to be expected. School is out and two new rides have just opened. Tomorrowland could be best described as very very crowded. If you do not need to approach Tomorrowland from Main Street at the moment just don’t even go there. 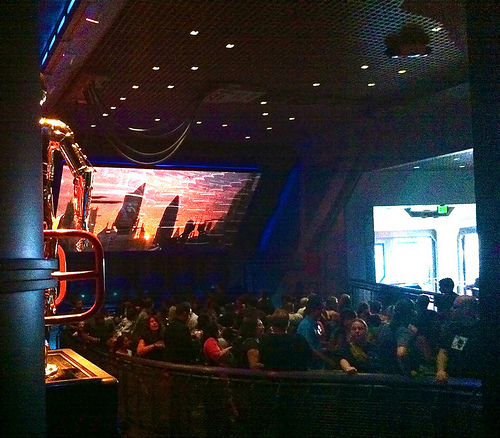 Access Space Mountain from the other side of the park and avoid the Jedi crowds. I had a plan of action to get the most possible rides on Star Tours. I booked a room in one of the Disneyland Resort hotels so that we could get the Soundsational Summer Package. 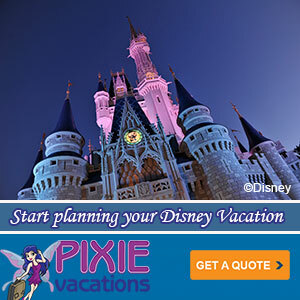 Not only does this give you early entry into the parks on certain days it will give you something even more valuable. 2 Fast Passes per guest. This is a huge deal if you want to avoid standing in the line for Star Tours. The early entry hours this Sunday meant that Disney resort guests could enter Disneyland at 7am which is one hour ahead of the rest of the park guests. This should have got us a head start but of course after leaving the park at midnight the night before things didn’t quite work out as planned. 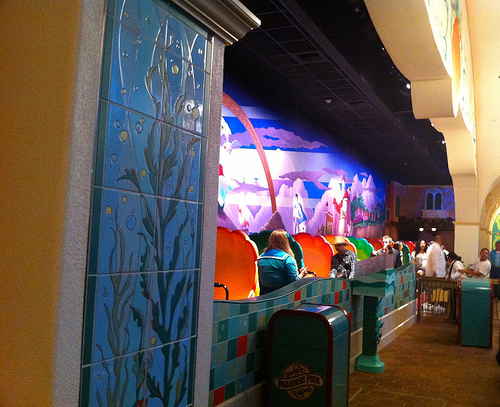 So we were a little late reaching the Fast Pass kiosk at 8:15am.